Did you miss the Softball game? Watch it online HERE. The Lady Badgers Volleyball vs Simla Cubs at 4:30 p.m. In the Christenson-Newsom Activities Building. The Bonfire will begin at dusk north of Gaskill Field on G Ave. After the Snake Dance arrives from the school. Plains Medical Center is serving an all-you-can-eat pancakes, sausage and drink breakfast from 7:30 - 10 a.m. On the corner of E ave and Main. Adults $4 Children and Seniors $3 Children under 5 eat for free! lineup at 9 a.m. Parade begins at 10 a.m. And will travel down E Ave. 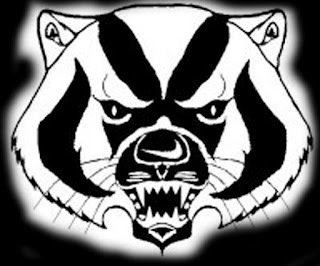 The Badgers take on the Rocky Ford Meloneers at 2 p.m. At Gaskill Field. High Plains Media will provide live video broadcasts of many of the Limon Homecoming events this week. Friday, Ryan Kaufman will provide play-by-play of the volleyball match against Simla at 6pm. On Saturday, Ryan Kaufman and Tim Andersen will provide coverage of the Homecoming Parade at 10 a.m.
Saturday morning. The weekend culminates with Tim Andersen and Rich Yarian calling the football game against Rocky Ford at 2 p.m. On Saturday afternoon. Welcome home alumni, have a fun-filled and safe weekend!